In June 2017, AGES Archaeological & Historical Association received a Heritage Lottery Fund (HLF) Sharing Heritage grant. 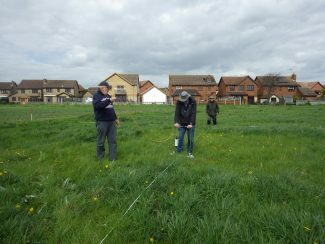 The club was given £7,400 towards buying its own geophysics equipment and carrying out fieldwalking and some digs around Hadleigh as well as researching the existing records to gather together the story of “The Romans in Hadleigh” so that it can now be brought to local residents and especially to the local school pupils who study the Romans each year. 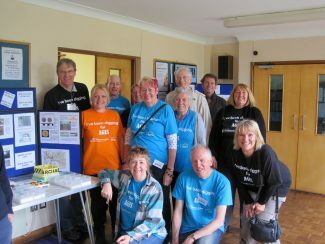 The project was launched at the United Reformed Church (URC) on Thursday 8th June 2017 when a display was put up at the hall and visitors were able to see the finds from the first day’s digging of test pits alongside the archaeologists from Cambridge University. 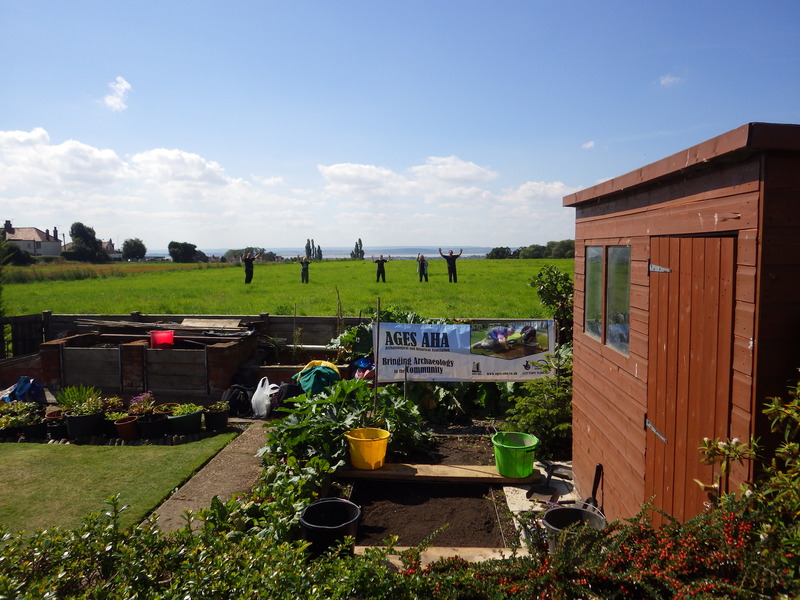 The dig was visited by Year 3 from Hadleigh Juniors. 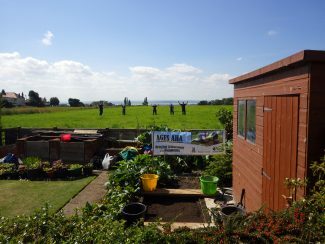 A second set of digs took place in August in two gardens in the area of Hadleigh’s “Roman fortlet”. 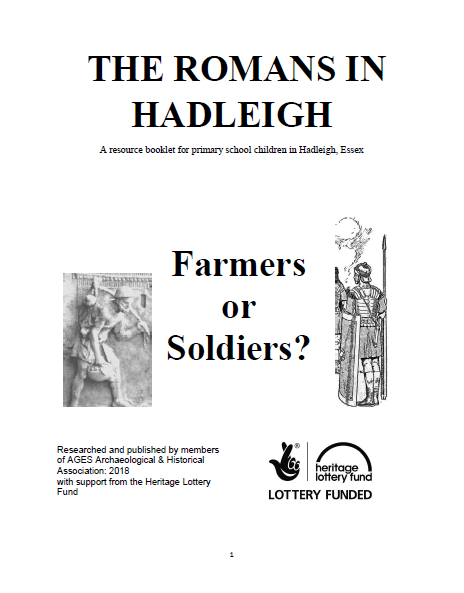 A booklet is being published so that the project will enable future Hadleigh primary schoolchildren and other local young people to discover where local people lived, what they ate and how they lived their lives under the Roman rulers of Britain. Until now, such local information has been very difficult to find. 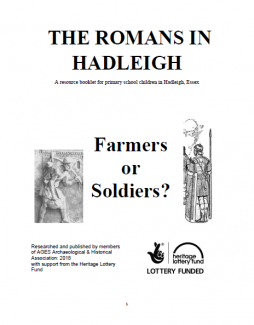 (The booklet will be made available to local primary schools and in the library). As an amateur group based in Hadleigh that has already been engaged in local historical and archaeological investigations, AGES AHA, now by getting and training with geophysics equipment, are able to go one step further in telling the story of local Roman life. Over the year, geophysics surveys were carried out on the protected government scheduled site overlying the buried ditches of the “Hadleigh Roman Fortlet” and in the garden to the URC where previous evidence of a “Roman Road” had been uncovered by excavation in 2015. 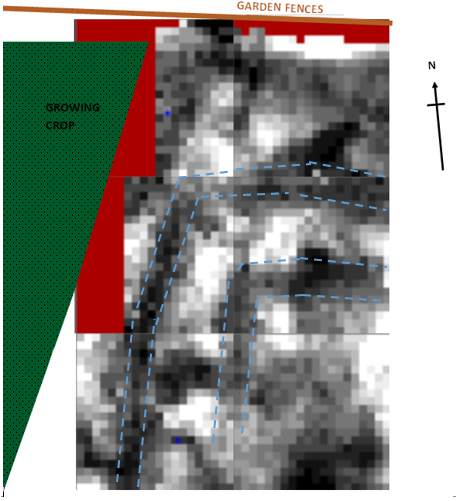 Further related more detailed articles will appear on this website in due course as the details of the geophysics results are refined and other aspects of Hadleigh Roman Life are brought to a wider audience. 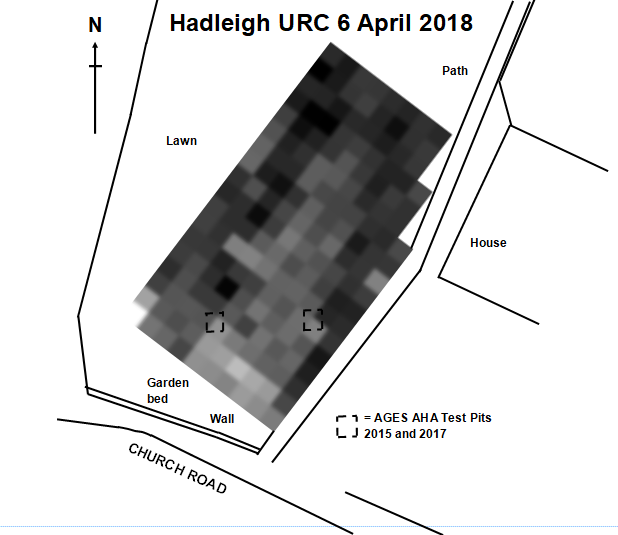 See also the attached document for a list of all the Hadleigh Roman finds that can be found in the records or are part of AGES own investigations. In recent years, at our public digs, school students have been asking many questions about the local Romans that we have been unable to answer. It’s fantastic that thanks to the National Lottery, we have had sufficient funds to come up with some of the answers and we are all really excited about the prospect of being able to share our findings with local children.